​Donate to support cutting-edge cancer research. 100% of your donation will go directly to the Prostate Cancer Foundation, which funds more than 1,000 of the world's top cancer scientists. Fundraise in honor of a loved one who has prostate cancer — or who lost his battle. Create a personal challenge to inspire your friends to donate to support our cause. 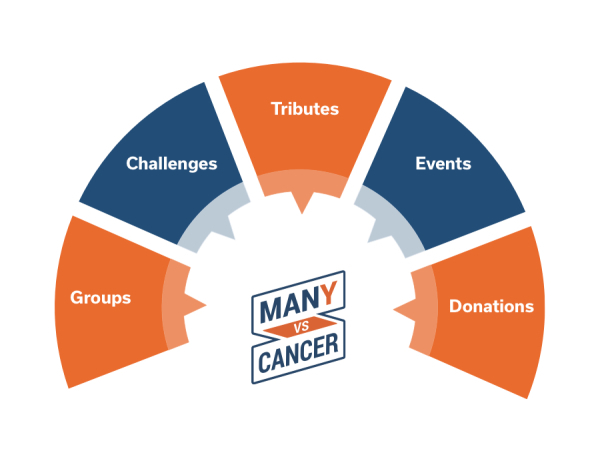 Join Many vs Cancer, recruit your friends, and start funding the cure. Together, we can defeat prostate cancer once and for all.